On 11 December, the Council officialy launched the EU’s mechanism of « permanent structured co-operation » (PESCO). 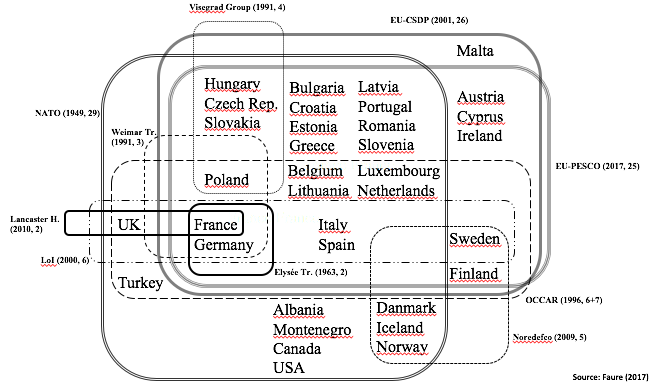 In this context, and to get a big picture, I tried to map the main politico-institutional frameworks situed at three different scales of international public action (bilateral, minilateral, multilateral) that establish European defence policy. It is a first draft, so all your comments are welcome!